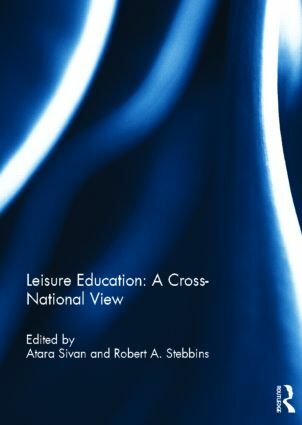 Leisure education plays a central role in both the field of leisure studies and the pursuit of leisure itself. Everywhere in the modern world the most effective use of free time for individuals comes with knowing about the many leisure activities available to them and the rewards and costs that accompany their interest in each. It is through leisure education in one form or another that they gain such knowledge. Yet, as important as this educational process is, its study is only beginning to take off in non-Western societies where, however, it cannot be assumed to be the same as in the West. This book contains several comparisons of Western and non-Western practices in leisure education. Knowing these practices contributes ultimately to a deep understanding of the nature of the huge variety of leisure activities enjoyed across the planet and of the reasons why people go in for the ones they do. This book was based on a special issue published in the World Leisure Journal. Atara Sivan, PhD, is Associate Dean of the Faculty of Social Sciences and Professor in the Department of Education Studies, Hong Kong Baptist University. She is author of three books on leisure education and President and Senior Fellow of the World Leisure Academy. She is also the Editor-in-chief of the World Leisure Journal. Robert A. Stebbins, PhD, FRSC, is Faculty Professor and Professor Emeritus at the University of Calgary. He is the author of The Idea of Leisure: First Principles; Work and Leisure in the Middle East; and Serious Leisure. Stebbins is an elected fellow of the Royal Society of Canada.